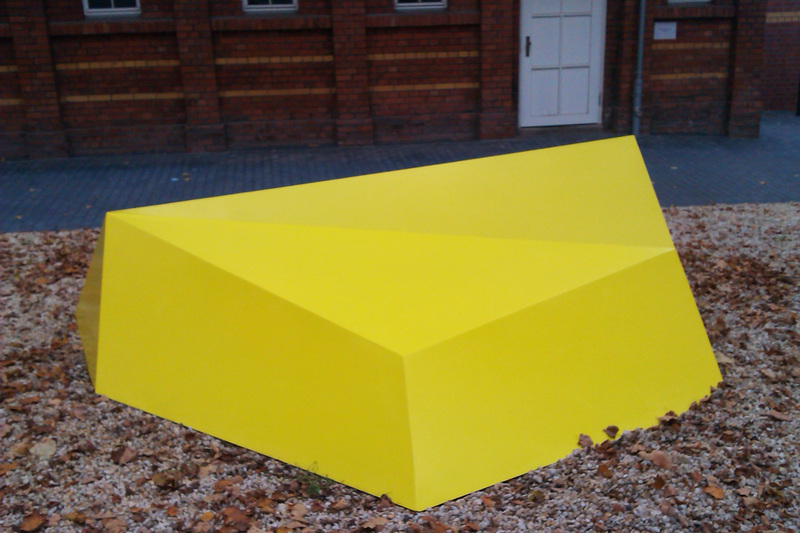 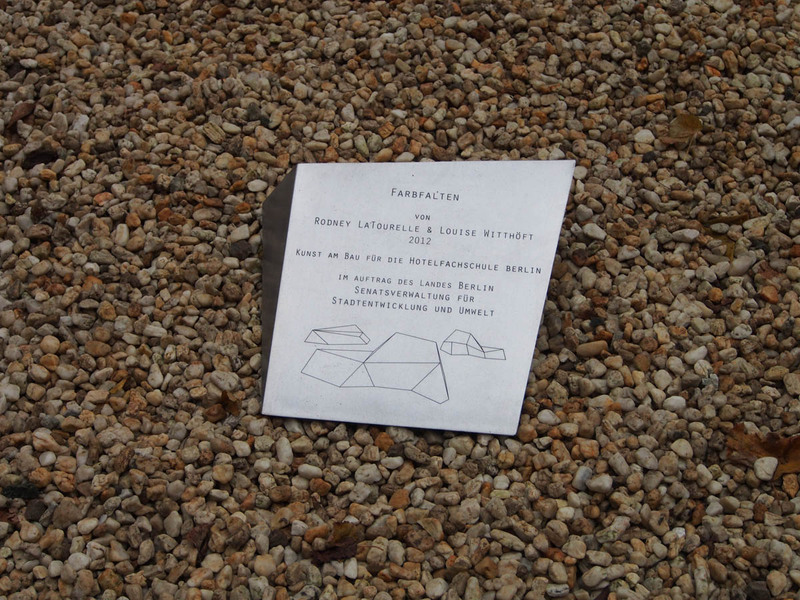 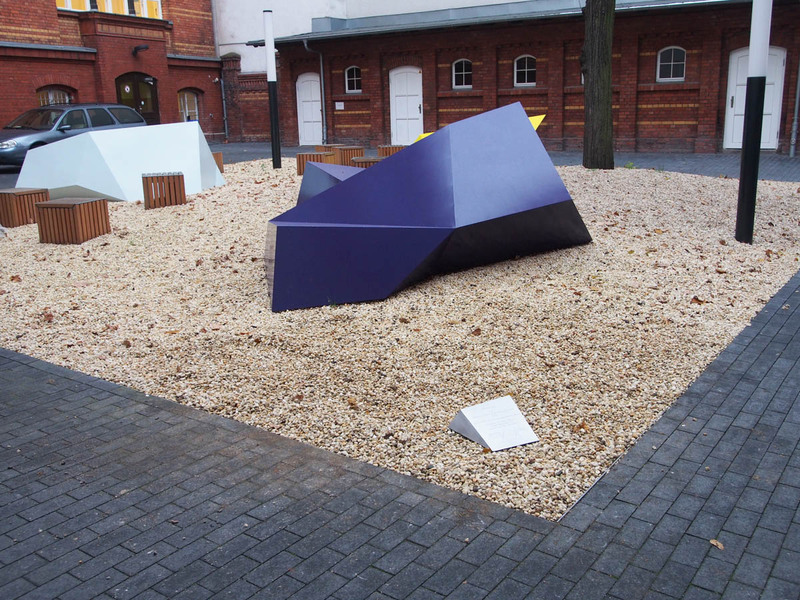 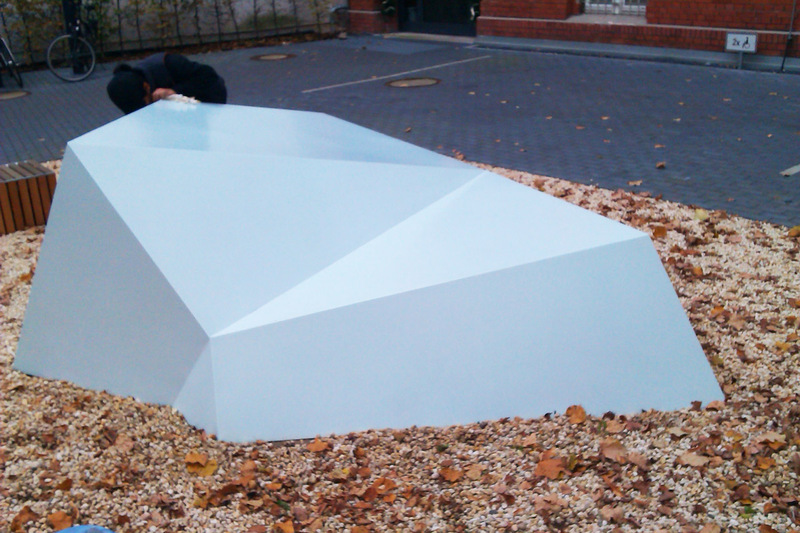 Production of an artwork by Louise Witthöft and Rodney LaTourelle for the courtyard of the Hotelfachschule in Berlin-Mitte. 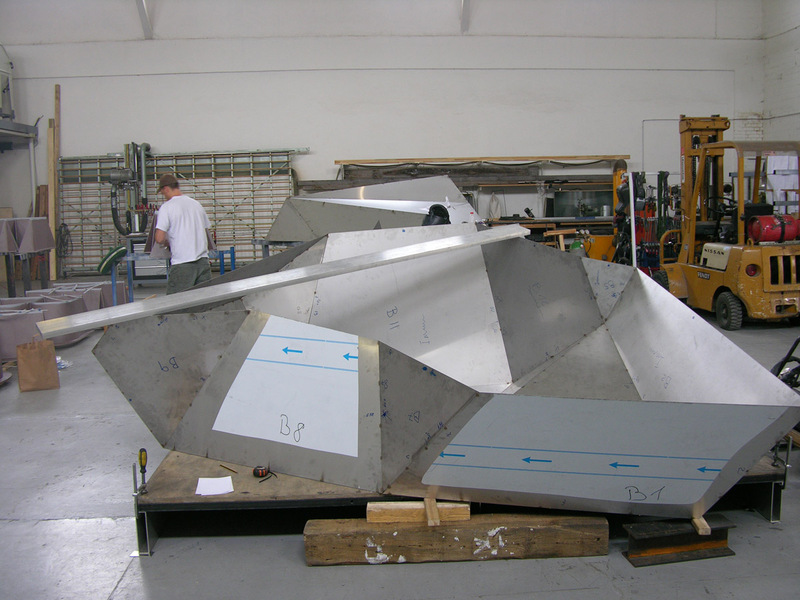 The coloured seat sculptures are realised in aluminium with welded and glued joints and stiffened by an inner supporting structure. 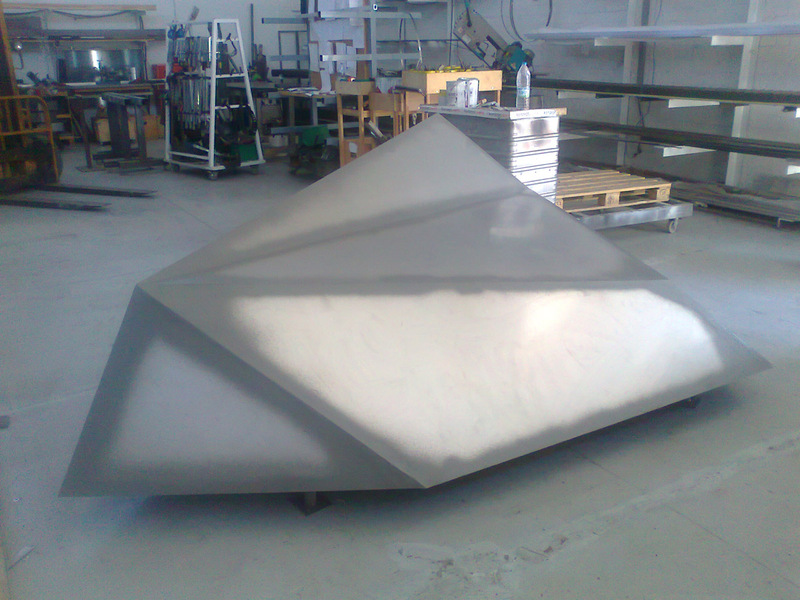 The three aluminium sculptures are finished with a 2-layer coating in three colours.